Unity offers an open and positive approach to God. 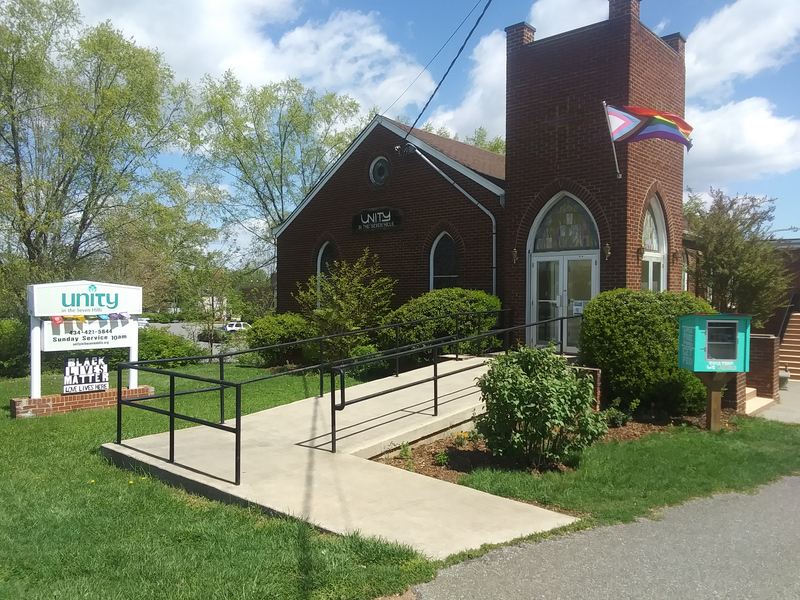 Unity in the Seven Hills is a dynamic community where you can connect with people of like mind and heart while you grow spiritually. We believe church is for all who choose; it is joyful, exciting, powerful and relevant. We’re excited to invite you to join us at our Sunday services and to the many classes, workshops and special events we offer. Our adult and children’s services begin at 10:00 AM Sunday morning and last approximately one hour. During the service, you’ll be invited to sing along with our uplifting music, participate in prayer and meditation, and experience an inspirational message. All are invited to participate in fellowship with friendly people after the service. We’d love to have you join us. No matter what your personal style, you’ll be comfortable at Unity in the Seven Hills. Jeans to Sunday best– you’ll fit in. Unity in the Seven Hills is a center for worship, spiritual growth, health and prosperity based on the practical application of the teachings of Jesus Christ. Unity in the Seven Hills provides a loving and supportive fellowship. We are committed to achieving a greater understanding and expression of individual potential. We are dedicated to the highest spiritual purpose of universal love, peace and oneness.